One of the most visited cities in the United Kingdom, Liverpool welcomes a staggering 75 million visitors each year. The city’s culture, history, retail and entertainment offering make it popular amongst people of all ages and of all backgrounds. With over ten years of black cab advertising experience, London Taxi Advertising is the UK’s premier taxi advertising specialist. 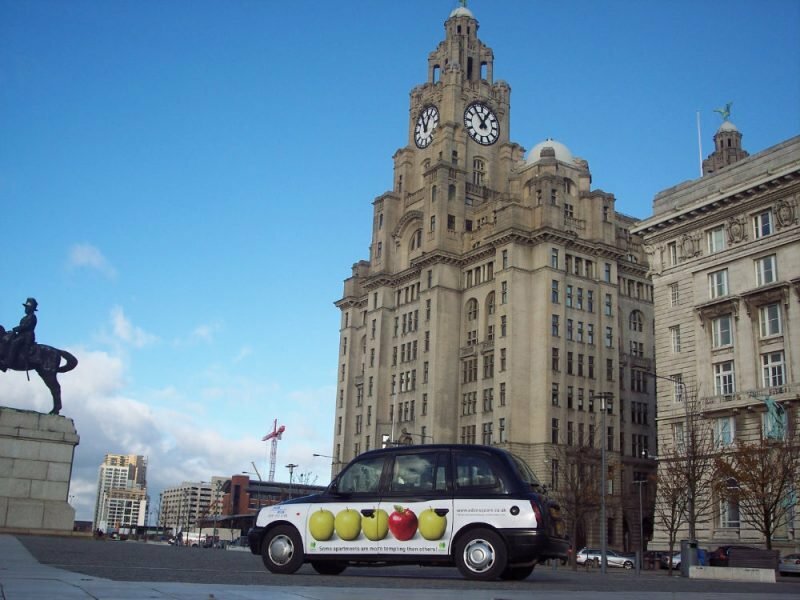 We can help your brand make an impact on the streets of Liverpool with our bespoke, stylish cab campaigns. The birthplace of The Beatles and the home of two Premier League football teams, Liverpool’s appeal makes it the perfect city in which to target tourists and those of an ABC1 demographic. A city built on industry and home to one of the world’s most famous ports, Liverpool’s status as an important shipping city continues to this day. However, investments in culture, tourism and financial services mean that the city now offers much more. The economy of Liverpool is one of the largest within the United Kingdom with a total GDP of £44 billion. Taxi advertising allows you to reach the city’s most influential and powerful people as your branded cabs travel the length and breadth of the famous city. Liverpool is also home to approximately 70,000 higher education students, and with its lively nightlife and rich retail offering in the form of Liverpool One, the city is an ideal location if you’re looking to reach that invaluable millennial audience.